7 Class-Action Settlements: Do T-Mobile or Sony Owe You Money? Looking to make easy money? Submitting claims to open class-action settlements can help you get free cash, products and other benefits with minimal effort on your end. The average claim takes less than 10 minutes to complete, but can reap rewards of $50, $100 or more. Last month, I told you about six class-action settlements you might be eligible to join if you’ve purchased certain products from big companies like Verizon Wireless and Rue La La. This month, I’m back with seven more settlements you may be eligible to join. If you’ve paid for any of these products or services in the specified time frames, hurry — these settlements will close soon, so submit your claim now! Thirsting for a cold Japanese brew? You might want to skip Kirin Ichiban beer, which is actually made in Virginia. This distinction may not bother most people, but others who were craving an authentic Japanese-made beer sued Anheuser-Busch for using misleading packaging that gave the false impression that Kirin is brewed in Japan. If you purchased Kirin beer between October 25, 2009 and December 17, 2014, you can receive up to $50 with proof of purchase or $12 without proof from the class-action settlement if you file a claim by June 15, 2015. Here’s where you can find more information. If you shopped at an Ohio Tween Brands Justice store between July 1, 2012 and August 31, 2014, you may be able to collect money from a settlement involving false sale prices. The class action lawsuit accuses the popular “tween” girl clothing retailer of misleading customers into believing they were purchasing items that were “40% off,” even though the “sale” price actually reflected the regular price. Submitting store receipts from this time period will help you receive a refund of 20% of your total purchases, minus any returns. If you don’t have your receipts, you can choose between a $12 cash award or a 40%-off coupon. The deadline to file a claim is June 8, 2015. Here’s where you can learn more. Did you take a nursing exam at Excelsior College and fail? A cool $200 may help soften the blow. That’s how much money current and former nursing students can claim for each time they failed the Clinical Performance in Nursing Examination at Excelsior College between February 19, 2011 and March 5, 2015. Why? Because according to a class-action lawsuit, the college’s distance learning nursing program “was devoid of any education” and failed to prepare students to pass the final nursing exam. The deadline to file a claim is June 14, 2015. Here’s where you can find more information. The nation’s largest prepaid wireless service provider, TracFone Wireless Inc., has agreed to pay $40 million in refunds to consumers as part of a settlement agreement with the Federal Trade Commission. The settlement resolves claims that TracFone falsely promoted its data plans as “unlimited,” only to throttle data transfer speeds when customers exceeded certain limits. Some customers allegedly experienced a 60-90% reduction in data service during these throttling sessions. You can receive a cash refund if you purchased a Straight Talk, Net10, Simple Mobile or Telcel America wireless service plan that was advertised to include “unlimited” data within the United States between July 24, 2009 and December 31, 2014, and you had your data usage slowed or suspended, or had all phone services terminated by TracFone before your service plan’s expiration date. You must submit a claim no later than June 19, 2015. Here’s where to find more information. Thermos LLC makes nifty reusable drinking bottles called “Foogo straw bottles” that are supposed to be “leak-proof.” Not true, according to a class-action lawsuit, which claims the bottles have a tendency to leak. If you purchased a Foogo stainless steel vacuum-insulated straw bottle or a Foogo plastic straw bottle from January 1, 2007 through December 23, 2014, you can claim a cash payment of up to $8.50 or a free replacement bottle without submitting proof of purchase. If you do submit proof of purchase with your claim, you can receive a full refund of your purchase price. If you’re eligible, you must file a claim by June 22, 2015. Here’s where you can learn more. Sony Computer Entertainment America LLC has reached a settlement with the Federal Trade Commission over allegations it deceptively advertised the “cross-platform gaming” and “cross-save” capabilities of its PlayStation Vita gaming feature. If you purchased a PlayStation Vita prior to June 1, 2012 and did not return the device for a full refund, you can file a claim to receive either a check (or PSN account credit) worth $25 or a merchandise voucher that has a retail value of $50 or more. You must submit your claim by June 30, 2015. Here’s where to get more information. T-Mobile has implemented a refund program for current and former customers who incurred unauthorized charges for third-party premium SMS (text message) services. These services included monthly subscriptions to text messages containing sports scores, weather information, horoscopes or jokes. 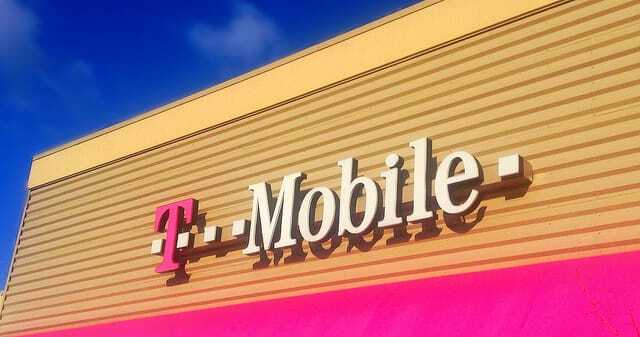 T-Mobile has since discontinued these services, but has agreed to issue a full refund or a flat $40 cash payment to customers who incurred unauthorized premium text message charges. Although the claim filing deadline is not until June 30, 2015, some people have let us know they’ve already received payments from the T-Mobile refund program within a few weeks of filing their claims. If you think you’re eligible for this refund, here’s where you can learn more. Your Turn: Are you going to file for your share of any of these class-action settlements? Anne Bucher is the Managing Editor of TopClassActions.com.